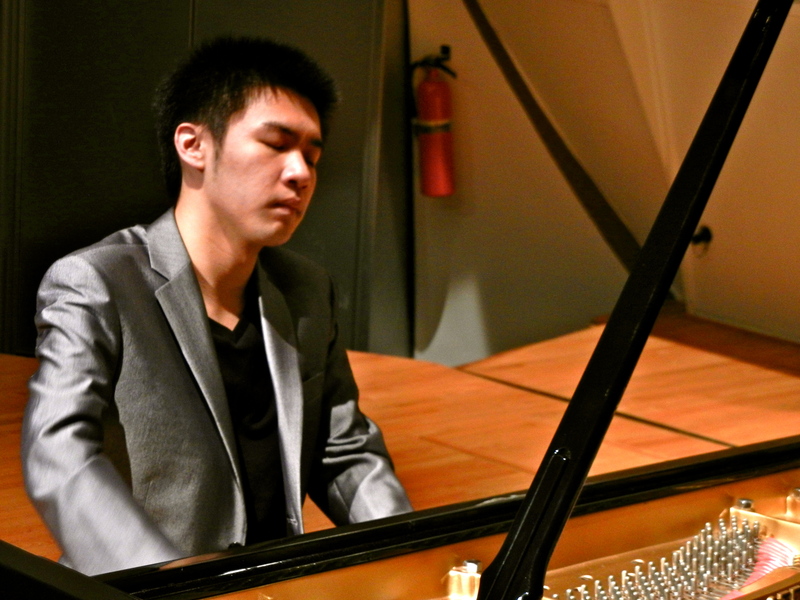 At the age of 18, Conrad Tao has already forged three remarkable music careers. 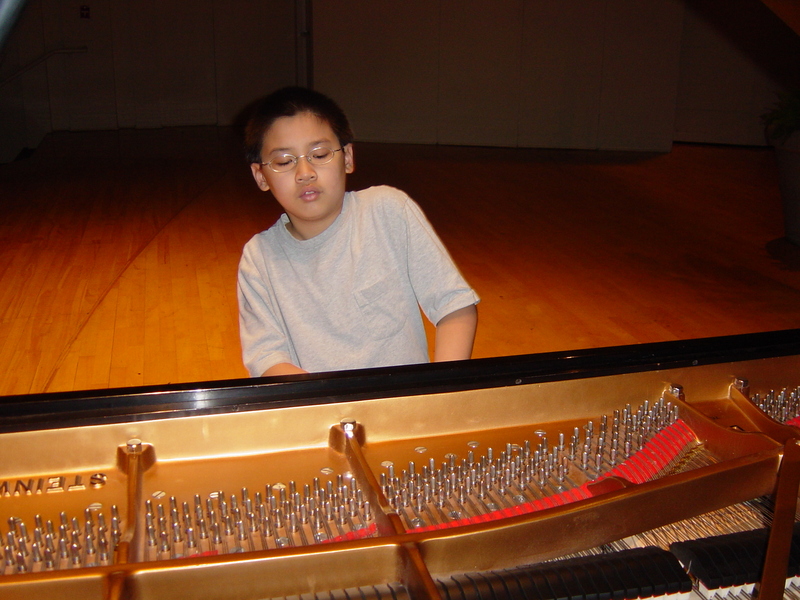 Born in Illinois in 1994, Tao began playing the piano when he was just 1 1/2, gave his first recital at age four, and made his concerto debut at eight. While studying piano and violin in the Pre-College Division of the Juilliard School for nine years, he built his concert careers and amassed eight ASCAP Morton Young Composer Awards. 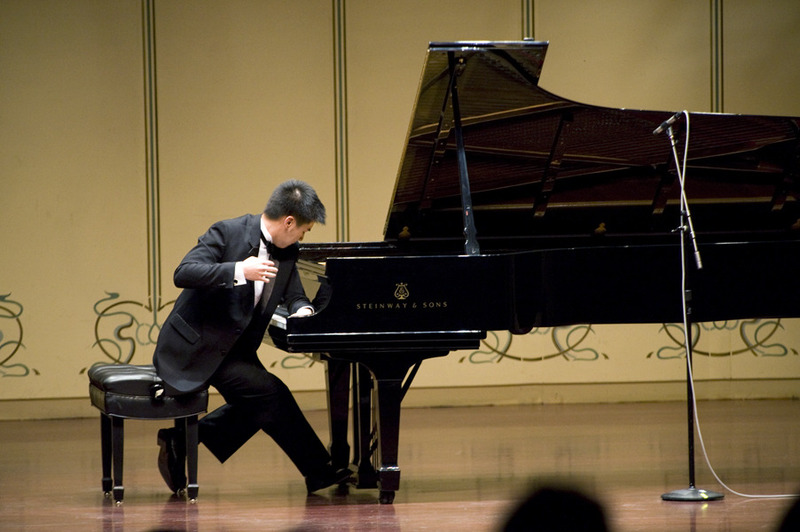 Tao’s accolades include being named a U.S. Presidential Scholar in the Arts, receiving a Gilmore Young Artist Award and being awarded an Avery Fisher Career Grant. He was recently commissioned by the Dallas Symphony Orchestra to write a piece observing the fiftieth anniversary of John F. Kennedy’s assassination. Tao spoke to Anita Malhotra by telephone on September 1, 2012 as he strolled near the campus of Columbia University, where he is enrolled in a joint program with the Juilliard School. 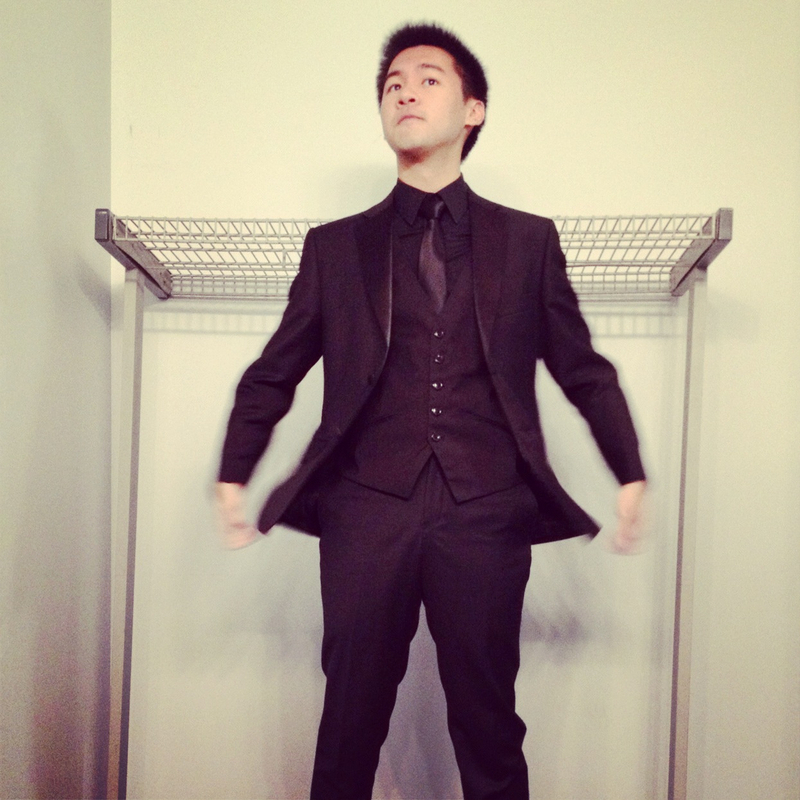 AM: You’ve accomplished so much in a short time as a pianist, violinist and composer. Which activities are taking up most of your time right now? CT: I would probably say that practicing and playing concerts and travelling does take up the bulk of my time professionally. But the nature of playing the piano versus composing music is very different. Piano requires this almost physical conditioning in the sense that you constantly have to be prepared and physically able to play certain basics. And composing is much more – for me, at least – this kind of slow and gradual process punctured by certain very sudden moments of inspiration. AM: Tell me about your most recent round of touring. Where did you go, and what was it like? CT: I’ve been fortunate to perform in many places around the world, across the country, and in Europe, Mexico and South America recently. Going to Europe in May was quite a lovely experience – it was a whirlwind experience. It was five recitals in 10 days, each one in a different place in Europe. So I touched Munich, Berlin, Paris, Southampton and London. I had never actually spent time in Munich. It was a stunning, beautiful city. And it was just a fabulous experience for me because I love going to a place very different from the U.S. and absorbing how people respond to the music. AM: Several times you’ve replaced another pianist on very short notice. What was that experience like? CT: It’s always a bit of an exciting experience and it’s also a nerve-wracking experience. I like that in the sense that when I’m working with an orchestra and replacing somebody, everyone is on their absolute A Game, because no-one has any idea what to expect. So I feel like everyone is working their hardest because there’s no guarantee, there’s no room for complacency. I really think that’s a spectacular feeling when it really clicks, and I’m happy to report that when I have done cancellations, it has clicked. AM: You have a very large repertoire. Who are your favourite composers and favourite pieces? CT: Oh, that’s difficult. That’s like asking Kate Gosselin who her favourite child is – although she probably has one. I respond differently to different composers depending on the context and I think the honest answer to that question sounds a little bit like a cop-out. Honestly, my favourite composer at any given time is whoever I’m playing at the moment because I feel that’s my duty as a performer. And if I’m playing music that I find in the moment I’m not even engaged in, then I’m just completely failing as a performer and a musician in that moment. 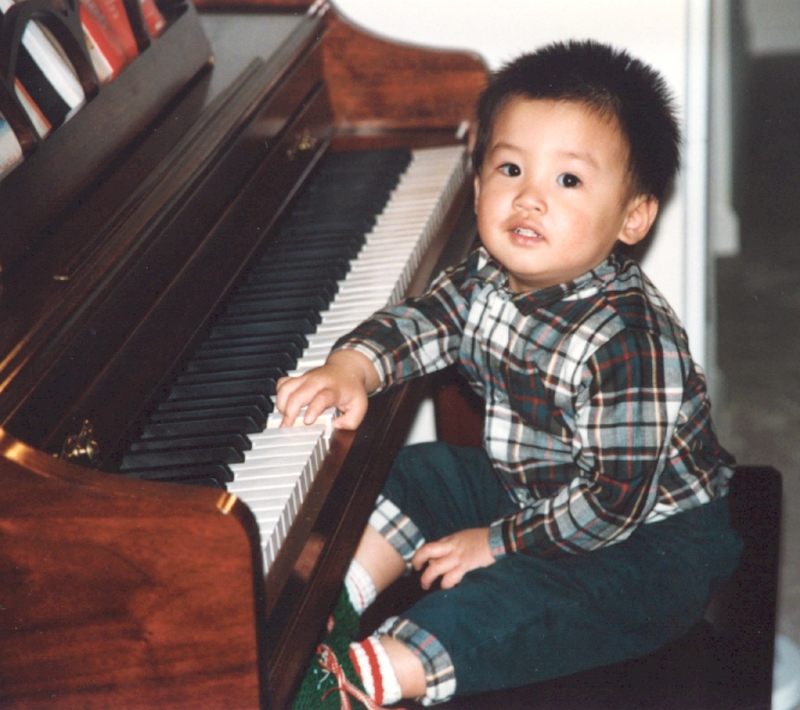 AM: You started playing the piano at the age of one and a half. Where do you think that ability or that interest came from? CT: I don’t have a clear idea. There isn’t precedence within my family tree, or at least we haven’t found it. That being said, what’s worthy to note is that my parents grew up with the school immediately post-cultural revolution, so it’s possible that there were opportunities for artistic involvement that were just completely quashed and silenced. But I don’t know. For some reason I just responded to music very positively. It was a magnetic attraction. AM: Your first piano recital was when you were four. Tell me about that. 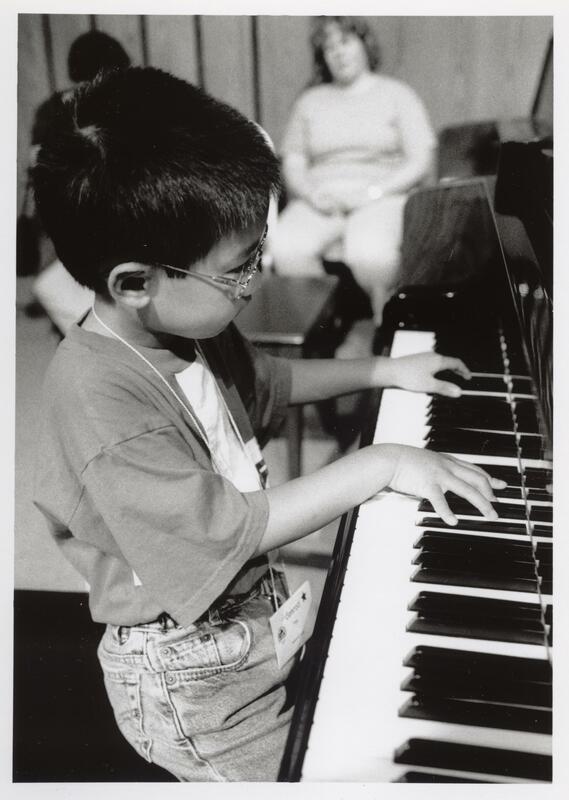 CT: My first piano recital was part of a larger studio recital that my teacher was holding. My teacher at the time was a family friend. And within that I was playing so many pieces that I had to print out my own program independent of the larger program. That’s one of my earliest musical memories. AM: There’s a conception in the classical music world that a person can only be good at one instrument, but you were able to master both the violin and piano. How did you manage to work on two instruments at the same time? CT: It was definitely difficult. When I first started playing the piano on my own, my parents approached many teachers and many of them said that I should start playing the violin because – unlike piano – violins come in extra-small sizes. And so I started playing the violin back then. And then I continued doing it because I really loved it. It was very hard because just on a purely logistic level, it was difficult to practice two instruments and make sure I had enough time on both. AM: When did you first realize you were a child prodigy? CT: I don’t particularly care for the word “prodigy” because it implies some sort of early adulthood. I wasn’t particularly cognizant at the time that I had different interests than a lot of people until when I started working as a performer. I think I was very lucky. I had parents who didn’t let me hear too much potentially harmful stuff. I didn’t have to hear “prodigy” used very often because my parents shielded me from that pretty well. When I moved to New York when I was nine, it was a good time because my mother found a job here at Columbia University to escape a really long commute. I entered the Pre-College Division at Juilliard and suddenly there was absolutely no threat of me being a huge anomaly there because everyone was my age or older and everyone was committed to what they were doing. I was able to really bond with people who understood me on that level, and then of course to bond with them on other levels as well. AM: Do you find it hard to keep grounded, as a performer, when you receive so many accolades? CT: No, because my opinion is ultimately the only one that I can pay real attention to. I’m so fortunate to have incredible mentors in my life. I’m so fortunate to have a spectacular support system behind me. I have a mother who has a really good ear and I trust her perhaps more than anybody because I know she’d be completely honest with me always. But at the end of the day, especially now that I’m getting older, ultimately I’ve had to become more self-sufficient in terms of how I feel about my performances. AM: When did you start composing and why? CT: I started composing around the same time I start playing the piano – just on my own in the sense that I always wanted to improvise. I had taught myself how to write music by copying how I read music, but I started formal training when I was five and I’ve been composing continuously ever since. So I started pretty early on and it’s always been integral because I wouldn’t feel the way I do about performing if I didn’t understand, from the first-hand point-of-view, how the composer-performer dynamic works. AM: What have some of the highlights been in your career as a composer? CT: Definitely hearing both of the chamber music works that are on my website –my Piano Trio, written in 2009, and my String Quartet No. 2, which was written in 2010. Those two works were really moving to hear performed live. It always boggles my mind that there are people out there who want to hear what I’ve written. And then last summer in Verbier I performed at the piano with two other students at the Verbier Academy – my Piano Trio again – and it was so touching to just see people involved in something that I had created, and taking it in directions that I had never thought possible. There’s no honor that’s greater than that. AM: You’ve been commissioned by the Dallas Symphony Orchestra to write a piece for the fiftieth anniversary of John F. Kennedy’s assassination. How did that come about? CT: I have worked with Jaap van Zweden before twice – once in Dallas and then once in Singapore. I love working with him. He’s a spectacularly talented conductor. He’s also great fun as a person and has so much energy. I was very honored that he asked me to write the piece. It was such an interesting concept. I mean, he’s asking someone my age to compose a work that observes the anniversary of an event that occurred 31 years before my birth. And that boggles my mind. 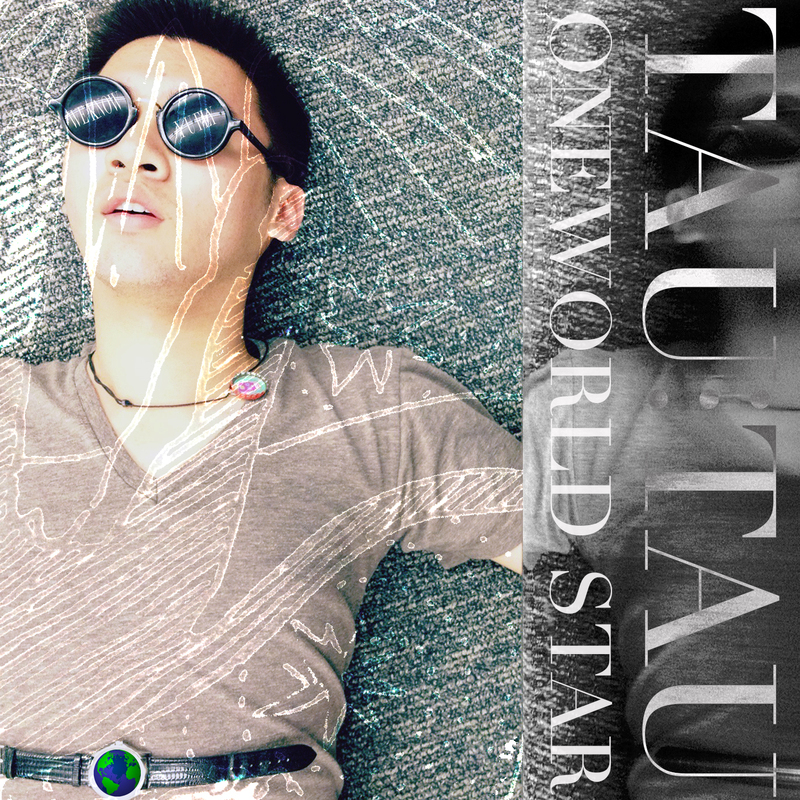 AM: You have also put out a few synthesized pop CDs under the name “Tau Tau.” What was the impetus behind this? CT: A desire first of all to do something different and do something that I hadn’t done before. Also a desire to try my hand at creating some of the sounds and music that I had grown to admire. I had really grown to admire the art of pop songcraft. For some of the recent work it’s become a little bit more conceptual, a little more conscious in terms of what I’m trying to say, but it’s still me messing around creatively and trying to branch out into areas that I haven’t tapped into. AM: A few years ago you created a project called Bridging Classical Music From the Past to the Future for which you won a Davidson Fellow Laureate. What exactly did that involve? CT: That was a portfolio compiled in 2008 dealing with my work and my interest in outreach and how it connected to speaking to young people about classical music in a way that wasn’t condescending. For me, as a young person, the top-down approach is something that drives me nuts. So this project was me explaining how you start small. You start by also breaking the stereotypes, by not simply programming the same works over and over, not only playing music written before 1900 and giving off this impression that all of our music was written by a bunch of dead European men. And exploring the radicalism of the twentieth century and thinking about what’s happening now. And then understanding that these things can happen within the framework of whatever classical music means today. AM: You have released one CD with EMI and have another coming out. Can you tell me a bit more about them? 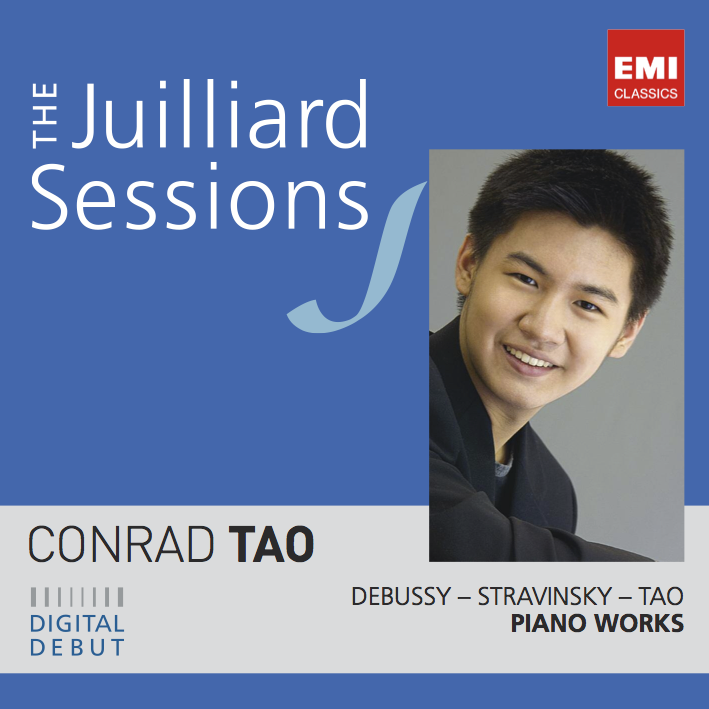 CT: My first recording for EMI was part of a series known as the Juilliard Sessions and it is an EP-length recording and it has works by Debussy, myself and Stravinsky. And the upcoming recording I think we are shooting for early 2013. That CD will hopefully include works by Meredith Monk, myself, Ravel’s Gaspard de la Nuit and five Rachmaninov Preludes. AM: What do you do for relaxation? CT: I don’t know. I find relaxation overrated. I find myself most satisfied and happy when I’m working – when I’m doing something, when I’m creating, when I’m thinking about what I’m doing, even when I’m doing schoolwork, when I’m engaging in intellectual conversations, when I’m really actively involved in anything. That is where I’m most content. So I don’t really do much to relax aside from maybe chew bananas from time to time. Yeah, I’m a banana person. I’m a member of the banana cult. AM: What are your short-term goals? CT: Some of my short-term goals include trying to put together live performances that are more interdisciplinary in nature and trying to fund them on my own. I was fortunate enough to receive an Avery Fisher Career Grant earlier this year and I hope that I can use some of those new resources to really push myself to think about performance in new light, especially now that performance is the last place where we have fascistic control over the audience – over the context of works on a program and the context of how the audience perceives the music. And of course I hope I to continue performing and to continue loving it as much as I do today. I hope that I will be getting to reach as many people as I am already fortunate enough to reach and hopefully more, and always think about how I can contribute through what I do as an individual. 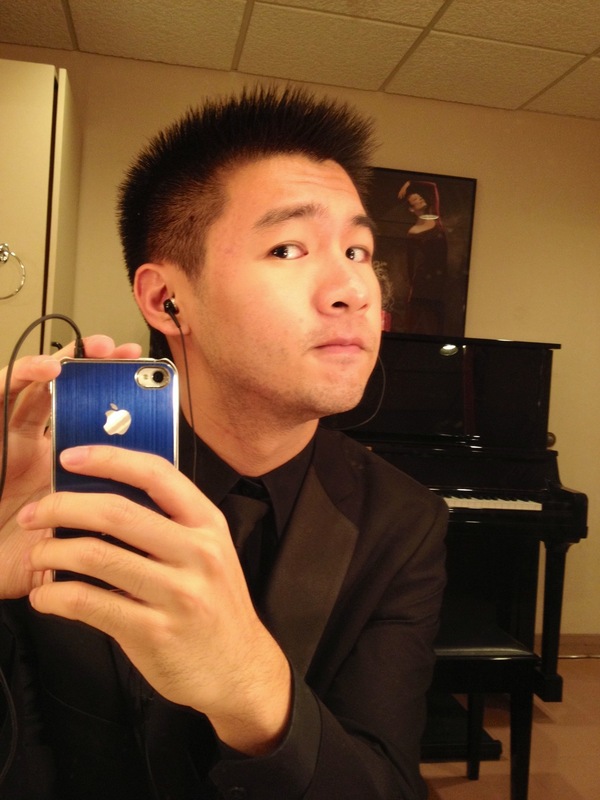 For more information about Conrad Tao, his concert schedule and his music, please visit conradtao.com. 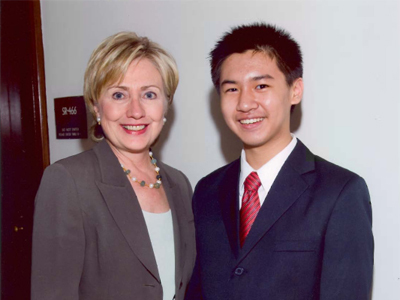 This entry was posted in MUSIC and tagged American composer, American pianist, ASCAP young composer, Avery Fisher Grant, child prodigy, Chinese American pianist, classical music, Conrad Tao, Conrad Tao interview, Dallas Symphony commission, Davidson Fellow, Davidson Fellow Laureate, Gilmore Young Artist, Interview with Conrad Tao, Jaap van Sweden, Jap Van Sweden, Juilliard graduate, Juilliard pre-college division, Julliard Sessions, Kennedy anniversary music, Morton Young Composer Award, NAC, National Arts Centre, One World Star, Ottawa, Ravinia Festival, Tau Tau, U.S. Presidential Scholar, young American composer, young composer, young pianist, young violinist. Bookmark the permalink.